White House To Withdraw Kathleen Hartnett White To Head CEQ : The Two-Way The White House will pull nominee Kathleen Hartnett White to lead the Council on Environmental Quality. White has drawn criticism for her comments on climate change. 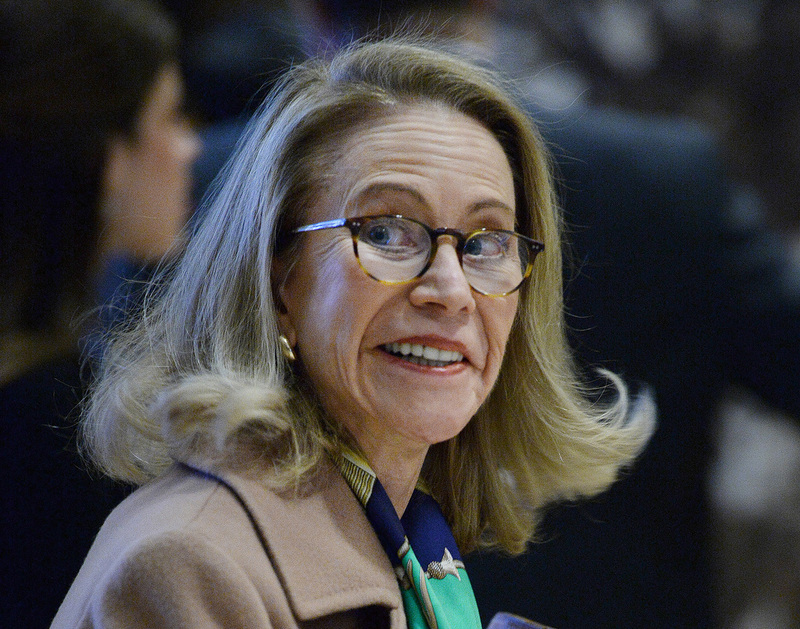 The White House will withdraw its controversial nominee, Kathleen Hartnett White, to lead the Council on Environmental Quality. The Washington Post first reported the decision to drop Hartnett White's nomination. Citing anonymous administration officials, the Post says Harnett's nomination couldn't win enough favorable support, "with some Senate Republicans raising questions about her expertise." Hartnett White has drawn criticism for her comments on climate change. The former Texas regulator has a history of questioning established science that man-made greenhouse gases are a major contributor to climate change. As the Post noted, when Hartnett White testified before the Senate Environment and Public Works Committee, "she said that while humans probably contribute to current warming, 'the extent to which, I think, is very uncertain.' "
Hartnett White suggested in 2014 that fossil fuels helped lead to the end of slavery because they "dissolved the economic justification" for it. The next year she wrote that carbon dioxide is "the gas of life on this planet." "Hartnett White suggested that climate regulation is a conspiracy pushed by communists," Mose Buchele of member station KUT reported in November. He said that she has "called renewable energy unreliable and parasitic." While promoting a book she co-wrote in 2016, Fueling Freedom: Exposing the Mad War on Energy, Hartnett White praised fossil fuel energy for doing "work that we otherwise would have to do [ourselves]." Though she worked as a top regulator heading the Texas Commission on Environmental Quality, Jim Marston of the Environmental Defense Fund told Buchele that Hartnett White stands out for an "unusual" opposition to regulations. But Buchele says Hartnett White told him years before that "she supported regulations, just not at the expense of growth and that industry is actually essential to a healthy environment." The CEQ post is responsible for coordinating across agencies to develop environmental policy. Hartnett White's nomination expired last year after Democratic opposition stalled her confirmation. Before reports on Saturday that Hartnett White would no longer be considered for the role, Trump re-nominated her last month to restart the process for Senate confirmation.